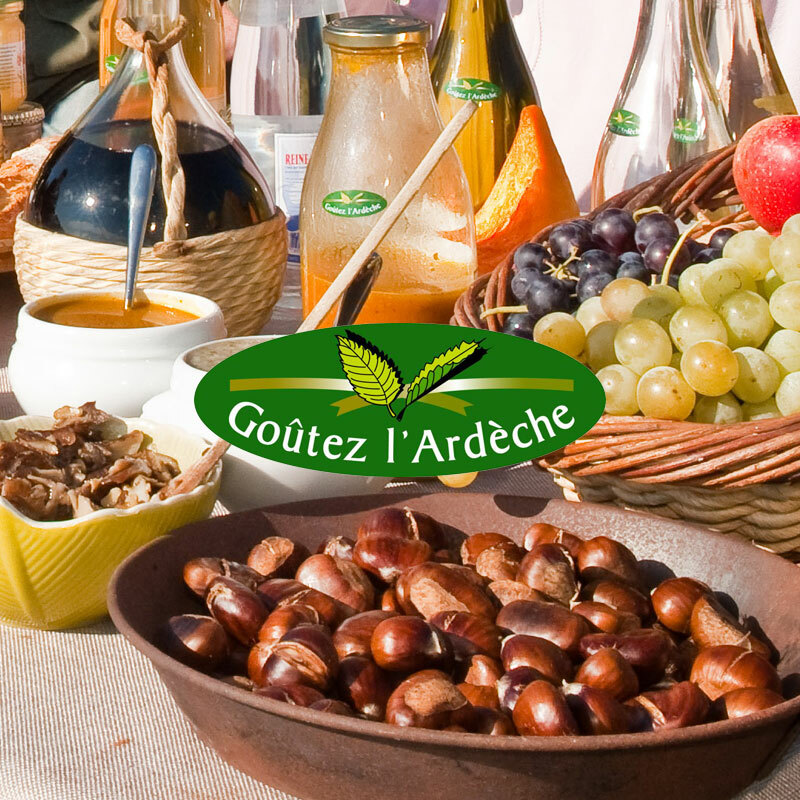 Goûtez l’Ardèche® is a collective label created more than 20 years ago at the initiative of the Chamber of Agriculture, the Chamber of Trades and Crafts, the Chamber of Commerce and Industry and the General Council of the Ardèche. This unifying slogan was widely deployed in the department at the time to convey a certain identity. To protect this appellation or guaranteed origin, men and women who are passionate about their region joined together in an association and filed the trademark with the INPI patent and trademark office in 1991. A few years later, a stringent selection and control process for products and services authorised to bear the Goûtez l’Ardèche label was set up and the first 8 products were selected in February 1995. Managed by a Board of Trustees comprised of 25 professionals representing major food sectors and restaurants in the Ardèche, this approach brings together farmers, artisans, manufacturers, restaurateurs and retailers. The Goûtez l’Ardèche quality approach now represents over 150 user companies, nearly 400 products and 300 sales outlets. • quality charters verified by an external organisation. • consumer satisfaction and commitment with quality products from the Ardèche which have been approved by a tasting panel. • community value with an economic return for the region and the organisation of common actions. Discover our selections by following the logo. On the basis of hundreds of « undercover » visits, business diagnoses, audits, sensory analyses and laboratory tests, we have approved nearly 400 products and more than 25 restaurants, as well as caterers and sales outlets. The Goûtez l’Ardèche logo allows you to make the best choice in full confidence: original Ardèche products tested for you by a tasting panel, restaurants concocting menus and dishes from local, seasonal produce, caterers creating delicious buffets with local produce, outlets selling a range of quality Ardèche products. All that remains to be said is Goûtez l’Ardèche!